Master these writing skills and become a stronger writer and better communicator to co-workers, customers, and friends. When I was nine, I wrote a short story for my avid reader base … a.k.a. my mom and dad and dog, Maggie. It was about roller coasters and featured my best friend Abby, but that’s about all I remember from my first literary masterpiece. I’ve always loved writing, and I’m so grateful that I get to write every single day (albeit about marketing and not theme parks). I mean, I get paid to do this. How cool is that? But just because I landed my dream job doesn’t mean I’ve stopped improving my writing. In fact, I feel more motivated than ever to discover new habits and master new writing skills. Writing is an integral part of life. Regardless of what stage of life you're in, writing is a key part of being a great employee, student, and communicator. 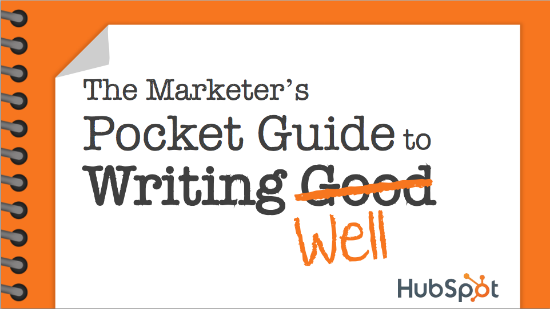 We believe everyone can become a better writer — even those of us on our blog team here at HubSpot. Consider us your partners on this journey and this guide as your beacon. Use the chapter links below to jump ahead to a particular section, or keep reading to dive right in. Writing skills are the tools and techniques that help you become a better communicator and writer. Good writing skills are important in all facets of life and allow you to communicate clearly with co-workers, customers, and friends. Writing skills improve grammar, spelling, punctuation, language, and writing style. There are also different writing skills required for different types of content, such as memos, letters, and emails. Writing is a form of communication, and becoming a better writer is essentially becoming a better communicator. We communicate all day, every day. Even when we’re not opening our mouths, we’re communicating through our body language, facial expressions, physical movements — and with our written words. Whether you’re sending an important memo to your team at work, writing a letter to your child’s teacher, building a presentation for a potential investor, or simply emailing your doctor, writing skills help you communicate in a clear and confident manner. Writing skills are universal. They’re applicable to almost every part of our lives. At work, writing skills help us communicate with co-workers, managers, and customers. They help us create effective emails, presentations, blog posts, social media posts, and marketing campaigns. They also come in handy when you might be applying to new jobs using resumes and cover letters. Writing skills also apply at home. Perhaps you’re writing an important letter to your child’s teacher, or maybe you have to state your case when applying for a bank loan or attempting to purchase a home. Becoming a better writer can help you in a myriad of ways — and make you sound smart and confident. Sometimes I like to think of writing like making chili … weird, I know, but let me explain. Weird story, Allie … what’s the point? My point is that there’s a lot that goes into writing, too. And when you combine its components correctly (commas, gerunds, metaphors, etc. ), your writing becomes a very powerful recipe. Now, let’s talk about those individual writing “ingredients”. Below, I’ve provided a handful of tips for each component — some featuring a pretty list with bullet points. You’ve heard people talk about grammar … probably something along the lines of: “Sorry, I am SUCH a grammar freak!” Or, the infamous you’re vs. your debate. The official definition of grammar is “the study or use of the rules about how words change their form and combine with other words to express meaning.” I like to think about it as the way you use words and put them together. Grammar encompasses a lot of rules and techniques. Here are a handful of my favorite grammar tip lists. Some writing skills are repeated in these lists, but that means they’re that much more important! Remember when spelling was its own subject in school? As we grew up, it was phased out of our daily learning, but spelling is still a vital writing skill. We all struggle with certain words (Feb-ru-ary, anyone? 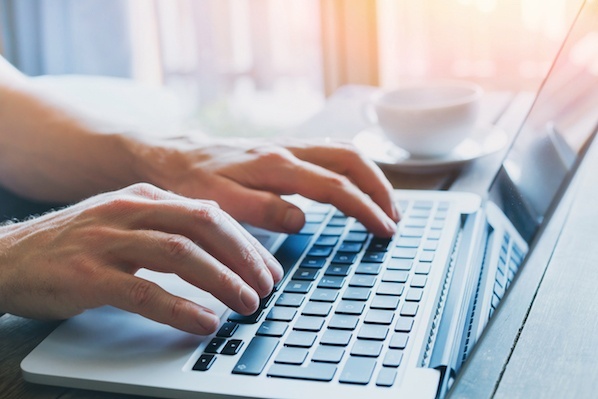 ), but certain misspellings can completely change the meaning of a phrase or piece of writing — and mean massive confusion for co-workers or customers. Below, I’ve aggregated some of the most common misuses and misspellings (as inspired by this list from the B2B Insights blog). “Continual” means always occurring, whereas “continuously” means never-ending. i.e. stands for “id est” meaning “”in other words,”” while “e.g.” stands for “exempli gratia” meaning ““for example””. “Alternately” means to take turns –or alternate, whereas alternatively” presents one or more options. Refute” is to disprove with evidence, whereas “rebut” is to disagree. “Farther” refers to physical distance, whereas “further” refers to a greater degree of something. Uninterested” means to have no interest, whereas “disinterested” means to be removed or neutral to a situation. Than is used when comparing two things, whereas then is used to express a sense of time, such as what comes next or what used to be. Punctuation refers to a whole host of symbols used in writing, but I’m going to review the few most popular in this section. Periods should be your go-to way to end a sentence. Every sentence should end in a period (if you’re not using a question mark or exclamation point. Exclamation points — which are used to express excitement, accentuate an important point, or get the reader’s attention — should be used sparingly! If you overuse them, they won’t be effective when you need them to be! These sentences are great examples of completely unnecessary exclamation points! Woot! Question marks are appropriate for — you guessed it — questions. Using questions throughout your writing can help create a conversational, friendly tone (which we talk about in our language skills section below). I used commas a lot, so I understood why she was giving me that feedback. In my defense, commas are important in writing and apparently very financially valuable for businesses. Commas pack a punch in your writing. They’re also easy to overuse and misuse. Because of that, it’s crucial to master the rules of the comma. Next: semicolons. Where commas connect two phrases, semicolons connect two complete, related sentences. For example, the previous sentence could be re-written with a semicolon by saying: Commas connect two phrases; however, semicolons connect two complete, related sentences. Always use “____; however, ____” when using a semicolon. Colons are used to introduce a new point, just like in my sentence above, “Next: semicolons.”. They’re pretty easy to utilize in your writing. Writers often confuse dashes and colons. Colons introduce something and are typically used near the end of a sentence, whereas hyphens are used to offset a phrase — not unlike commas — in the middle or end of a sentence. Dashes just put a little more oomph on the phrase that’s set apart. Hyphens are used to connect words to make them compound words. They’re used to connect two words that serve as an adjective for a noun (such as well-known, or caramel-covered) as well as clarify the meaning of a word (re-sign vs. resign). Hyphens also produce numbers (thirty-seven) and, with prefixes, set apart one word from another (boyfriend vs. ex-boyfriend). Language refers to using certain words and writing techniques to create a great piece of writing. Consider language skills to be the proverbial “bow” on top of your grammar, spelling, and punctuation. Employ transition words to help your reader glide from sentence to sentence and paragraph to paragraph. Use colorful and creative metaphors to help get difficult, complicated, or uncomfortable points across. Don’t be afraid to incorporate a personal anecdote or two … like my comma story above. This helps connect to your reader and present something more interesting than a simple how-to or definition. Look up colorful, flavorful synonyms to basic words. Painful = excruciating. Fast = rapid. Scary = chilling. Noisy = deafening. These words are more fun to read and present a more visceral, interesting piece of writing. Pepper in questions in your writing to become more conversational. Try not to overdo it, though, or your reader might feel like he or she is being interrogated. Study your audience to know which words to use (and not use) to have the greatest impact. Put yourself in your reader’s shoes. Read your writing out loud to test for rhythm and awkward phrasing. Different types of writing require different skills. What makes for a great business memo might not be needed when writing a blog or email. Note: The writing skills we discussed above are universal and apply to each of these types of content. 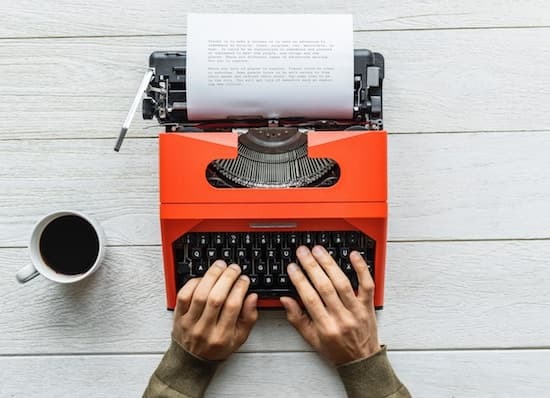 There are a lot of types of letters out there: formal letters, cover letters, letters of recommendation, letters to Grandma … but the letter format you choose should always depend on your audience. If you know your recipient, a casual letter is appropriate. If you don’t know your recipient or are writing a business letter, a formal letter is best. You should always address formal letters in a specific way, unlike informal letters to friends or family. When starting your letter, the greeting should align with your familiarity with the recipient. Informal letters can start with “Hello” or another common greeting. Formal letters should begin with “Dear _______” if you know the recipient’s name or “To whom it may concern” if you don’t. All greetings should be followed with a comma. The body of your letter should be concise and accurate, whether informal or formal. Avoid contractions, slang, and inappropriate language in formal letters. Always include a complimentary closing at the end of your letter. Informal letters can be closed with “With love,” “Sincerely,” or any other customary closing. Formal letters should be signed off with “Sincerely” (typically the safest bet), “Cordially,” or “Warmly.” All closings should be followed with a comma as well. A business memo (short for “memorandum,” or reminder) is a type of internal business communication sent to a large team or entire organization. Business memos typically follow a simple template to ensure consistency. When writing a business memo, you should always prioritize accuracy and brevity. Consider your audience when choosing what words and language to use. Double-check for grammar, spelling, and punctuation errors that could confuse or distract the reader. Be sure your memo is concise and to the point so that recipients clearly understand its purpose. Lastly, don’t forget to attach any necessary data and documents. Like letters, emails come in all shapes and sizes. There are marketing emails, sales emails, emails to pitch media relations, and emails that communicate with international teams. Write an outstanding subject line … literally. Make it stand out so people open your email. Keep your email focused. Consider dropping any extraneous greetings or unnecessary information. Break up your message so it’s not just one long block of text. Watch out for robotic writing. Read your message out loud to help combat this. Avoid hedging language, which can make you sound less confident and weaken your writing. 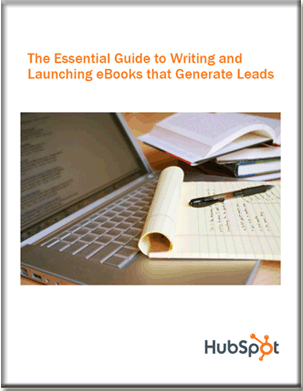 At HubSpot, we love writing blog posts. They’re fun, straightforward, and often informal ways to connect with our customers and readers. Everyone should know how to write a blog post. While maintaining a blog takes some extra work, writing up the blog posts isn’t hard at all. In fact, we’ve made it easier — simply download our five free blog post templates and dive right in. Finalize your title, and publish! Learn more about this process in our step-by-step guide on writing a blog post. Want to learn how to write other types of content? Check out our guides on writing video scripts, compelling copy, business proposals, and press releases. Writing skills are both technical and habitual. You could become a grammar guru, punctuation pro, or master of business memos … but if you never actually sat down to write, it wouldn’t matter. While the technical skills make you a better writer, building up your habitual skills actually makes you write. Here are some writing skills and habits to build for both professional and personal purposes. Every writer (me included!) implements at least a few of these habits in order to improve their writing. Set a meeting with yourself that you can’t break, and let your co-workers and friends know that you’re unavailable for that block of time. Maybe you need a change of scenery. This removes the temptation to respond to emails, check social media, and generally procrastinate. Save these trips for days on which you don’t have to do research. This is especially important if you have to do a final sweep-through or round of edits. After spending hours and hours on a piece, it can be hard to see minor errors or gaps in the writing. Sometimes stepping away and coming back can give you a fresh set of eyes. Read the writers and writing styles that you admire and aspire to be/recreate. Subscribe to your favorite blogs. Bookmark those websites and publications that you love reading. Download any e-books or digital guides that catch your eye. Buy your favorite books — which supports your favorite authors, too! You’ve heard the saying, “You’re a byproduct of your environment,” right? The same goes for your writing. If you’re interested in writing — whether professionally or personally — and not sure how to get started, becoming a writer is actually a pretty straightforward process. Even the best writers are continuously learning. Below, we’ve collected a handful of writing resources for you to bookmark and use as you improve your writing skills. HubSpot Academy, notably our Business Writing Course: Master High-Impact Writing With Bestselling Author Daniel Pink. MasterClass, which offers access to online courses taught by the “world’s greatest minds”. Their writing courses feature teachers like James Patterson, Judy Blume, Malcolm Gladwell, Shonda Rhimes, Aaron Sorkin, and Margaret Atwood. Grammarly, a free digital copyeditor. Available as a web or desktop app and for a fee, you can access many premium features. Hemingway Editor, a free digital copyeditor for more editorial, creative writing. Also available as a web or desktop app. Definr, a super quick digital dictionary. Jargon Grader, a simple tool to check your writing for jargon and fluff. Tone Analyzer, a pretty cool tool that assesses the different tones (anger, confidence, tentativeness, etc.) in your writing. Grammar Girl, both a blog and podcast that provide quick tips to improve your writing. Purdue University Online Writing Lab (OWL), a very trustworthy site for any questions about writing or grammar. Building and improving your writing skills is a continuous process. From technical skills for grammar, punctuation, and spelling to skills that help you hone a disciplined writing process, there are many tips and techniques to master and remember. Whether you’re learning how to write better emails to your team at work or are chipping away at that dream of writing a book, we’re here to help. Bookmark this guide for future reference, and start writing!